We've been seeing an incredible amount of activity around sites impacted by Google's Penguin algorithm over the past few weeks, smack inside the busiest holiday shopping season. That last big update is still rolling out - though really there won't be a particularly distinct end-point to the activity, since Penguin is shifting to more continuous updates. The idea is to keep optimizing as we go now. Now, many are interpreting this as the Penguin algorithm is now a rolling update that is happening by itself. I think that is not true. What it seems to me is that we have engineers at Google that are finding things to tweak in the algorithm and are tweaking those things and pushing them out more quickly than we are use to. So they pushed out the Penguin 3.0 in mid-October and since then, we've seen major fluctuations with sites hit by that algorithm. We've seen wide spikes in sites hit and then reversed, time and time again. This to me, is Google testing or tweaking the algorithm, in the live environment. Why? I am not sure. I guess because we asked for it. We wanted a faster running Penguin algorithm and when Google told us 3.0 wasn't that we were upset. So maybe this Google's way of killing two birds (no offense to the Penguin) with one stone? So what have we documented thus far? 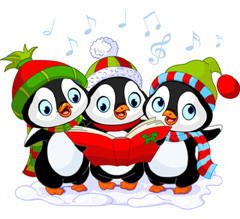 Penguin 3.0 on October 17, 2014, Penguin 3.1 on November 27, 2014, Penguin 3.2 on December 2, 2014, Penguin 3.3 on December 5, 2014 and Penguin 3.4 on December 6, 2014. I have not seen any changes since the 6th around this. Of course, why during the holiday season? I am not sure. I think if Matt Cutts was running things, there is no way we would see this happening now.